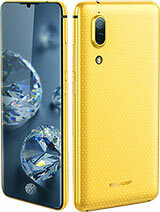 Sharp Aquos S2 is another wonderful smartphone with great specifications. It's a 4G LTE enabled phone with a screen display of 5.5 inches with Corning gorilla glass protection. Sharp Aquos S2 came running on Android 7.1.1 Nougat out of the box, powered by Qualcomm Snapdragon chipset. There's a Dual rear camera 12MP/8MP with dual LED flash and 8MP front facing camera. Sharp Aquos S2 will be arriving in two versions of which difference between both versions are the RAM and internal memory 4GB RAM/64GB internal memory and 6GB RAM / 128GB internal memory. Both versions are equipped with a Non-removable 3020 mAh battery capacity. See full specs and price below. Price About 350 EUR / $413 USD / INR 26,307 / CNY 2,770 / KES 42,924 / roughly N150,000 Naira.